It's time to work together to design a more INCLUSIVE Hastings. 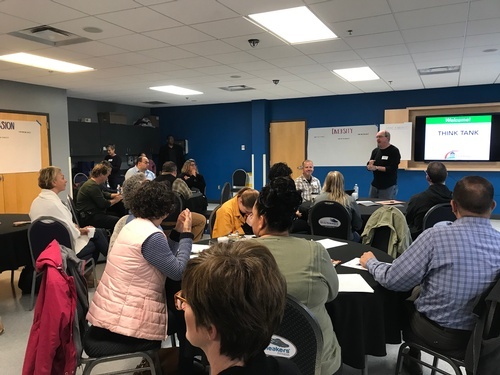 Please join us for the upcoming Equity Innovation Labs, led by the YMCA Equity Innovation Center and ImpactLives, Inc.
Five sessions will take place between October and February. Please join us for as many as you can. There will be a $10 buffet dinner option through Dakota Pines from 5-6 p.m., and FREE Childcare for kids ages 6 weeks to 10 years provided by Hastings Area YMCA (MN) KidStuff program. Full details and history of the Hastings Diversity, Equity & Inclusion Initiative and the Equity Innovation Labs is available at www.hastingsmn.gov/equity. Please join us as we learn to see the world through an inclusive lens. $10 if you would like dinner.